A group calling itself only “Crackas With Attitude” claimed responsibility for the hack, which it allegedly carried out as a form of protest against US foreign policy. But while little is known about the hackers, a lot was revealed about Brennan. Here are the key things that became public when WikiLeaks published the documents. 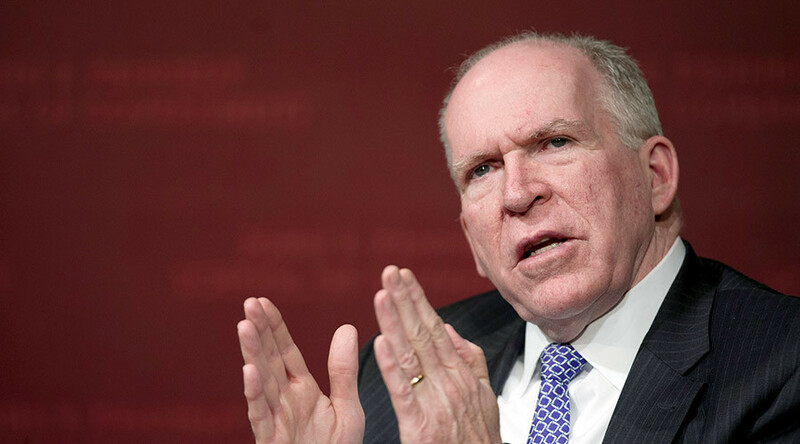 Additionally, personal details relating to Brennan’s wife (including her Social Security number and birth date), children, and siblings were listed in the form. The names and contact information of people who know Brennan, including their addresses and phone numbers, were also listed. One individual was former CIA Director George Tenet, who served under George W. Bush. Notably, the SF86 form is the same kind of document that was stolen when hackers breached the systems of the Office of Personnel Management. The personal data of millions of government employees were exposed in that hack. In a document sent by the CIA to the Government Accountability Office, the CIA criticized TAC for “disingenuous” behavior, saying its proposal had received four less than satisfactory evaluations out of seven. It classified the proposal as “Medium High” risk. All the other proposals it had received were granted seven satisfactory ratings, and so TAC was taken out of the running. When it comes to situations beyond US borders, Brennan said sometimes action must be taken overseas “to address real and emerging threats to our interests,” and that they may need to be done “under the cover of secrecy.” He argued that many covert CIA actions have resulted in “major contributions” to US policy goals. WikiLeaks published two documents related to the CIA’s use of so-called “enhanced interrogation” techniques, though notably neither was written by Brennan. One was written by then-Senator Kit Bond (R-Missouri), vice chairman on the Senate Select Committee on Intelligence, which outlined a proposal to limit the CIA’s torture techniques without restricting the development of new techniques complying with the law. Was hoping to see full 6,500 page torture report in Brennan's AOL email. Instead, there's just a Kit Bond letter about AFM & interrogations. The document suggests listing the types of techniques that the CIA is barred from using instead of restricting the agency to only those explicitly listed in the Army Field Manual. Some of the techniques Bond suggested that Congress ban included: forcing the detainee to be naked; forcing them to perform sexual acts; waterboarding; inducing hypothermia; conducting mock executions; and depriving detainees of food, water, or medical care. The bill prohibited the use of many of the same techniques listed in the previous document, though it was not passed. Ultimately, President Obama issued an executive order banning officials from using techniques not in the Army Field Manual.